Preble Bands have played in Washington D.C., at Mount Vernon (George Washington’s home in VA), for Vice President Joe Biden in 2012, and most recently in the Electric Night Parade at the Magic Kingdom at Walt Disney World. We were recently awarded the Mike Coyle Memorial Award at the New Dublin St. Patrick’s Day Parade. 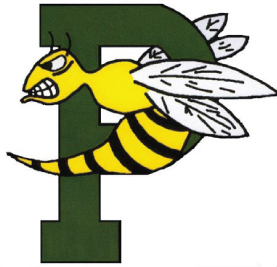 The Preble High School Marching Band has been accepted to perform in the 2018 New York City St. Patrick's Day, and will also perform the deck of the USS Intrepid aircraft carrier in March 2018. This year the band looks to upgrade our parade banner, as well as purchase an American flag and Wisconsin state flag for when we represent our state in the NYC St. Patrick's Day Parade in March. We are also working on purchasing new platforms for our drum majors for our marching band performances. We are so fortunate to live in a community that values the Arts, with such generous residents and businesses. They have given us so much support over the years, which has allowed us amazing opportunities in music, and also to take what we do on the road! My goal is to instill in my students the desire to give back to their community, not only with events such as Stock the Box for Hunger, but through performances and volunteering within our own community. Students who are involved in these kinds of activities while they are students will be contributing members of their communities as adults.